Tarkan is one of the most famous singer in Turkey. Was born and raised in the Alzey town of West Germany in the province of Renna-Palatina. He returned to Turkey with his family in 15-years-old. He graduated from Karamürsel High School in 1990 and started to take the first steps of his music career in Istanbul Üsküdar Musiki Cemiyeti. 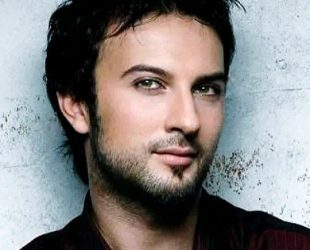 Tarkan, made his debut album with Yine Sensiz in 1992, has made a big hit with his song “Kıl oldum abi, A Acayipsin, Ölürüm Sana in this album. In 2010, the 7th. studio album, Adını kalbime yaz, Step met with the audience and it was the best selling album of the year in Turkey. He married with Pınar Dilek on April 29, 2016. His wife, German citizen. Tarkan, announced in 2017 that he will move to Cologne, Germany and that he will continue his life in Cologne. Dance Pop, Pop Rock, Folk pop, Adult conteöporary, Pop. Ozan Çolakoğlu, Nazan öncel, Sezen Aksu, Wyclef Jean.